REN is a skincare brand founded in London in 2000.The name, REN, comes from the Swedish word for “Clean” and stands for the company’s policy of providing clean products that are free from the chemical additives and skin-unfriendly ingredients found in many of today’s health and beauty products.The clean concept is further exemplified by the understated packaging and straightforward labeling used for all REN products. 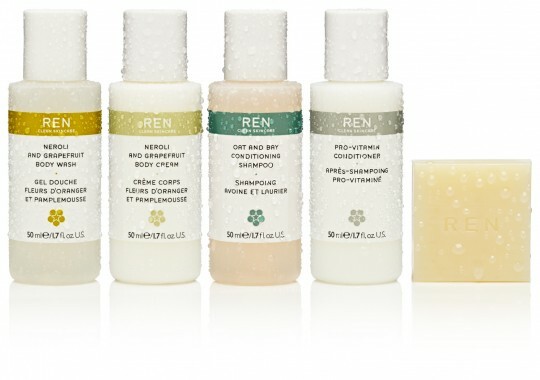 The REN hotel amenity line was originally developed for Sir Terence Conran’s Great Eastern hotel in London. Currently, REN guest amenities can be found in exclusive hotels and resorts around the world.